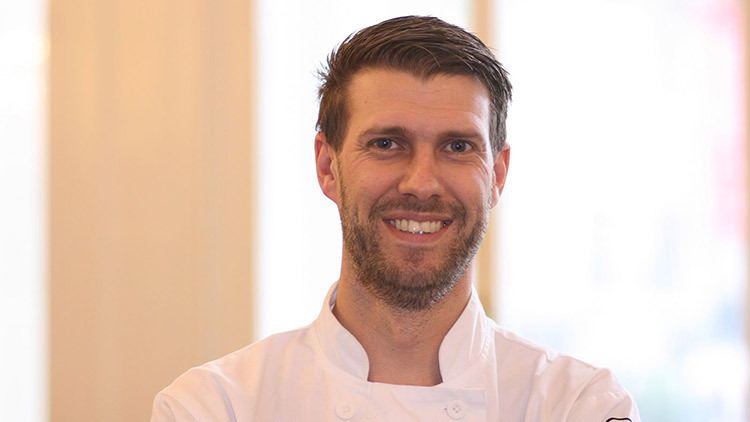 Mark Andrews, one of our development chefs, was named as the highest performing European-based chef at the Garland Canada International Chef Challenge, held on Prince Edward Island (PEI), off the coast of Canada. The competition, organised as part of PEI International Shellfish Festival, consisted of a head-to-head elimination-style cooking challenge between 12 top chefs from Canada, USA, UK and France – all being given 45 minutes to prepare a shellfish dish using the island’s produce as the main ingredient. Andrews finished overall runner-up, just losing out to chef Andrew McLeod, from Bolete Restaurant in St. Catharines, Ontario, who took home the $10,000 prize. The PEI International Shellfish Festival aims to showcase the Island’s produce to buyers and visitors from North America and Western Europe.